Due to its superior mechanical properties, yttrium-stabilized tetragonal zirconia polycrystal is considered as one of the most promising materials to manufacture prosthetic frameworks, monolithic crowns, and abutments for implants in dentistry. When stabilized in the tetragonal phase, the structure of zirconia can respond to external stress by increasing its toughness and resistance. Unfortunately, when subjected to a humid environment, zirconia may undergo considerable degradation characterized by increased surface roughness, grain growth, and propagation of microcracks that could be detrimental for its mechanical properties. This phenomenon, also known as low-temperature degradation (LTD), when not minimized, may represent a setback for the longevity of zirconia especially used for biomedical applications. LTD is studied in in vitro or in vivo settings employing different strategies. 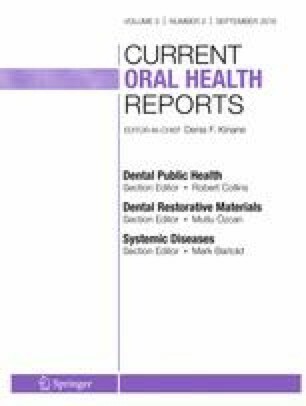 Present clinical studies, however, with their shortcomings, do not signify high incidence of failures of zirconia for dental applications. The LTD of zirconia is currently being criticized based on laboratory testing which may be suboptimal. This review will highlight the existing knowledge on the artificial aging methods studying LTD in zirconia and their relevance considering clinical performance of zirconia prostheses.